Fill out the form below to request ADA furniture to use on campus for a semester. Requests must be submitted two weeks in advance. Accessible desk. Dimensions are 48" W x 30" D with adjustable height. 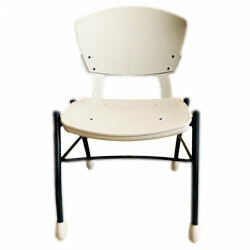 Accessible chair with flexible back. Dimensions are 18" W x 18" D x 34" H. Supportive for up to 400 lbs. 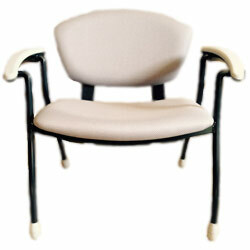 Accessible bariatric chair with flexible back. 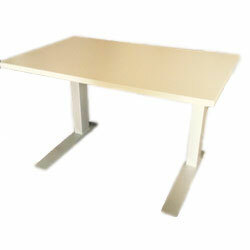 Dimensions are 29" W x 20" D x 33" H. Supportive for up to 500 lbs. If you are unsure of the item you need, please consult with Dr. Marty Patwell (mpatwell@wcupa.edu), Director of the Office for Students with Disabilities. User agrees not to damage or otherwise alter the condition and/or use of the furniture. Requests will be processed and filled within ten (10) University business days; delays may occur when your requested item is not available. Should this occur, you will be notified via email of an anticipated delivery date. User is expected to notify the Facilities Moving Services Department at 610-436-2512 of any issues with the condition or use of the furnished item.